Mad Wave's RAPTOR Fitness Goggles have been designed to deliver an accurate fit and matchless comfort when swimming in the pool. The goggles have low-profile design providing you with advanced hydrodynamic properties. Also the model has adoptable nose bridge for more precise adjustment. 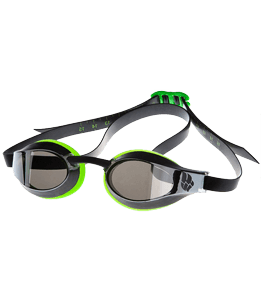 Mad Wave's ALLIGATOR Goggles are a perfect choice for fitness swimming. The goggles feature ultra-soft seal and adjustable silicone strap, delivering cushioned comfort and accurate fit. Lenses with anti-fog coating and UV 400 protection. Comes with adaptable nose bridge. Discover Mad Wave's SPURT Fitness Goggles featuring comfortable strap adjustment system, anti-fog coating and UV 400 protection. Comes with 4 changeable nose bridges to ensure a bespoke fit.